The historic Union Depot will reopen to the public this weekend, 41 years after the last train pulled out of the station and downtown rail service ended. 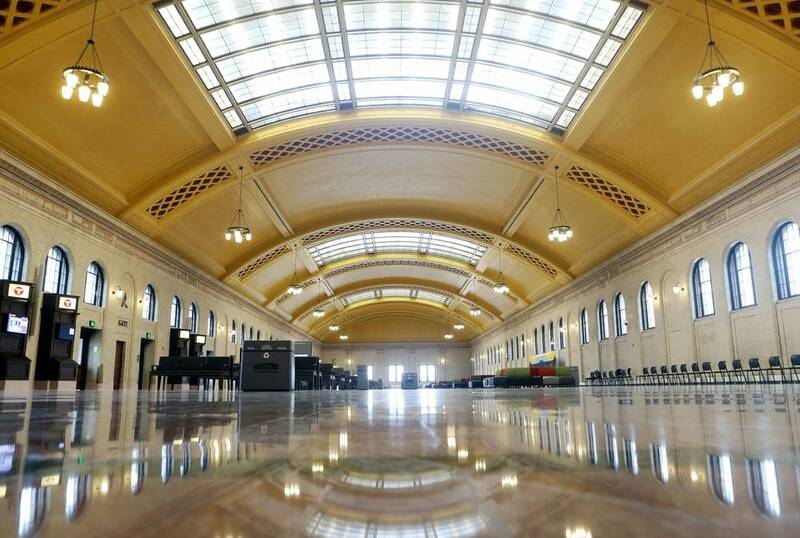 Union Depot officially reopens to the public at 9:30 a.m. Saturday. The $243 million makeover has officials hoping the facility will anchor a public transportation renaissance and revitalize the area. St. Paul has some impressive spaces. There's the cavernous sanctuary of the Cathedral of St. Paul and the Capitol rotunda that soars over the state's political heart. But the 80-foot arch that spans the Union Depot's football-field sized waiting room was the jewel of the city's commerce when it opened in 1924. "Absolutely. This is the waiting room. 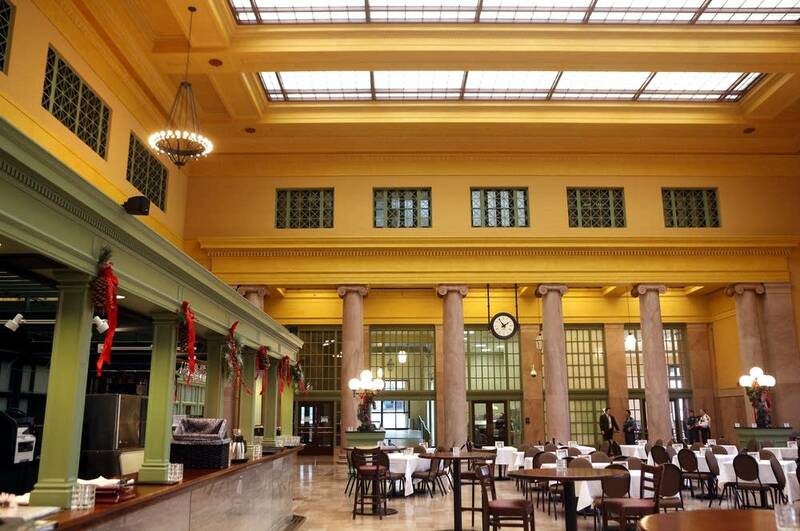 The grand room, and we've developed this not unlike when James J. Hill had the vision, it's a transit hub," said Jim McDonough, a Ramsey County commissioner and chair of the county's Regional Rail Authority, the agency that's been behind the rebuilding. "That's what it's designed to be. Intermodal. Buses, bikes. Passenger service, light rail and its going to function extremely well." The depot closed when the last Amtrak train pulled out on April 30, 1971. The waiting room was boarded up, gutted and last served as cold storage for a fleet of mail carts from the post office next door. But a decade-long effort by Ramsey County, the federal government and St. Paul boosters has restored it, right down to matching the original jazz-age gold-tinged paint job, banded with maroon blossoms across the ceiling. "We spent a lot of money figuring out what that color was and then figuring out how to make it, because how you do paint now compared to how they did paint — the recipe is a lot different," McDonough said. "But they're really confident that that's the color. And that color was intentional... it was to represent the grain fields of Minnesota." But the restoration isn't about keeping up appearances. 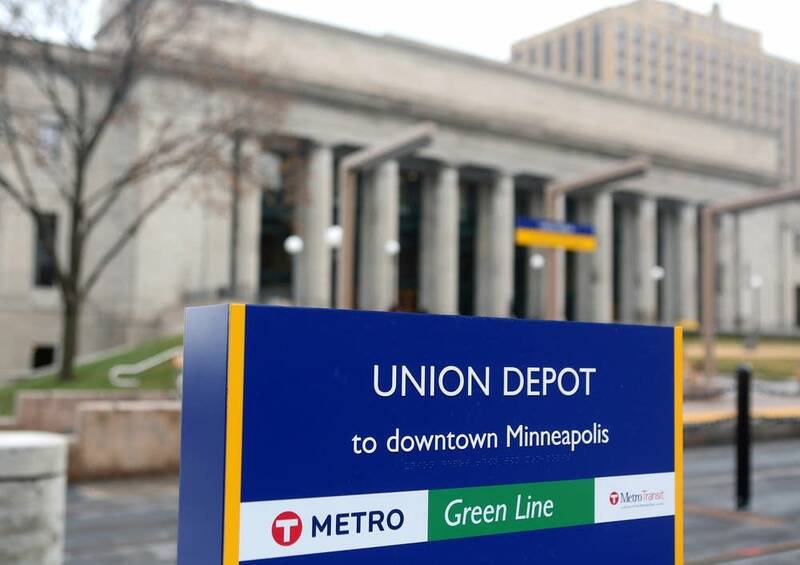 Boosters hope the Union Depot will help put downtown St. Paul back on the map after a century in Minneapolis' shadow. The depot is within sight of the Lower Landing, once the gateway to travel and shipping on the Mississippi River. Union Depot is also just blocks from the former headquarters of the Hill railroad empire. Backers hope the depot will again make the city a transportation center. The first service to return will be Metro Transit, set to stop about 300 buses each weekday on what once was a train platform at the station. "We think there's going to be a continuing growing market, and those people who are not necessarily connecting to get to downtown St. Paul," said Brian Lamb, Metro Transit general manager. "Because a lot of those routes will have kind of traversed the core of downtown St. Paul, but from one regional area to another." Jefferson Lines intercity buses will service the depot next year, and Amtrak's Empire Builder will restore service to a brand new rail platform a few months later. The Green Line light rail trains will stop in front of the station starting in 2014. 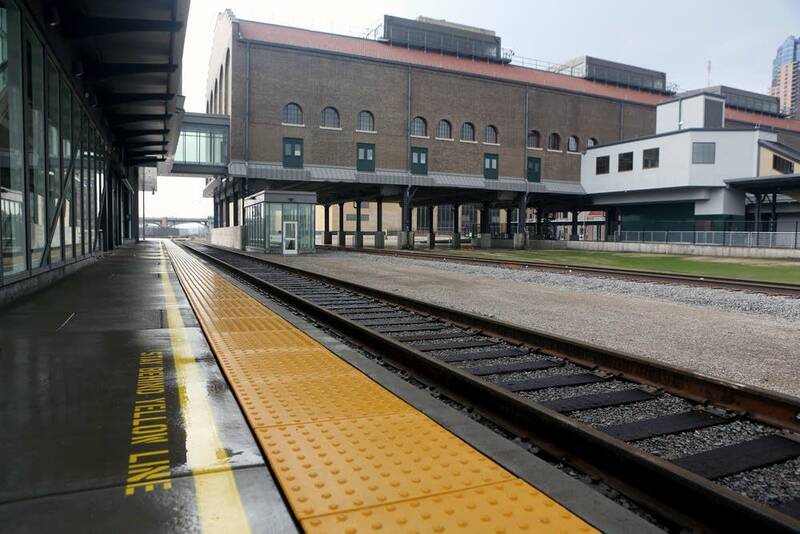 Planners hope to eventually add commuter trains from as far as Hastings and Hinkley, and high-speed rail connections that stretch to Chicago and beyond, potentially putting St. Paul on the frontier of ground transportation. Even near-term improvements might be possible, St. Paul Mayor Chris Coleman said. "We think there's an opportunity to have more trains between Chicago, not even necessarily high speed," Coleman said. "We have the Amtrak Empire Builder that goes through right now twice a day. But we'd like to see a couple of more daily trips added on the train." The county has hired Jones Lang LaSalle, the company that runs the Chicago, New York and Washington D.C. train stations, to manage the remodeled depot. Mark Hunter with Jones Lang LaSalle said they would like to make the Union Depot a destination in its own right, like other well-known historic train stations. "Certainly the goal is to have that consistent daily traffic throughout Union Depot, and once you have that you can activate retail," Hunter said. "You'll have lots of events throughout the year, and it just becomes a gathering place for the community."